Steven D’Onofrio is a New york born and raised comedian who emerged from the world of Anime and Gaming. He is quickly becoming the go-to host and emcee OF Pop Culture, Anime and Gaming conventions. His high energy, quick wit and vast knowledge of all things anime & games instantly electrifies any event, whether it’s a Cosplay Contest, Game Show or one of his own live SHOWS. Steven gained international experience as the emcee for the World Cosplay Summit at ANI:ME 2016 in Abu Dhabi, UAE. Stateside, he hosted a 14-show run at Anime Expo’s Night Cafe in 2017, performing for thousands of attendees in Los Angeles. Following the show’s success, Steven took the role of co-producer and host of Anime Expo's brand new LATE NIGHT show: AX AFTER HOURS in 2018. The 12-show run was a major hit featuring stand-up comedy, burlesque, musical performances and much more. 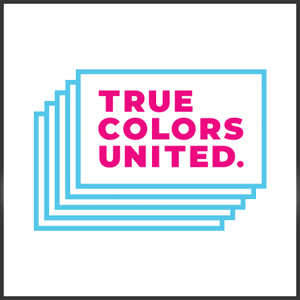 The True Colors UNITED, Cyndi Lauper’s charity, working to end homelessness among lesbian, gay, bisexual, transgender, QUEER And questioning youth, recently brought Steven on as their first GLAMBASSADOR. He works hand in hand with The True Colors UNITED to raise money and spread a message of awareness and acceptance. This partnership, and giving back to the LGBTQ community, is something very dear to his heart. “COMIC GEMS,” D’Onofrio’s newest project, is a live variety show for Anime, Gaming, Comic and Pop Culture conventions featuring stand up comedy, sketches with Special guest appearances, interactive games and live music performances. All the proceeds made from the event go to The True Colors UNITED. As an advocate of living your truest self, Steven’s performances are not only created to make his audience laugh, but encourage them to feel comfortable about being who they are and to celebrate their individuality. STEVEN also happens to sound - JUST like - Iago from Aladdin when he shouts. so if anything, there’s that. “comic gems” IS a brand new 90-minute comedy variety show to benefit the True Colors UNITED, an organization co-founded by Cyndi Lauper to end LGBTQ youth homelessness. The event, created and hosted by True Colors UNITED GLAMBASSADOR Steven D’Onofrio, will feature: stand-up comedy, SKITS WITH SPECIAL GUESTS, INTERACTIVE GAMES AND MUSIC PERFORMANCES. Not only is “COMIC GEMS” a fun night time charity event, but it is also one big celebration of individuality and love. Let’s come together to create a world where all young people can be their true selves.